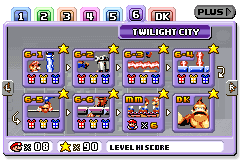 Not to be confused with Twilight Town or Twilight House. 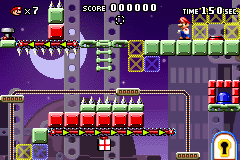 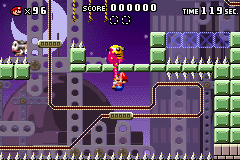 Twilight City is the sixth and final regular World found in the game Mario vs. Donkey Kong. 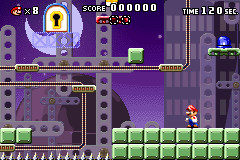 The entire world is a high-technology city, consisting of lasers, robots, and metal platforms. 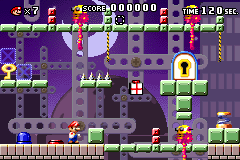 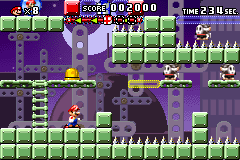 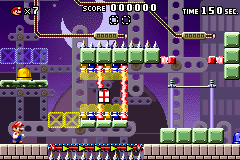 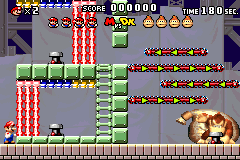 The city introduces the spanner-throwing Katakata Spanner Heihō, which can be found in a couple levels, and Robokikkis, which are quicker versions of Monchees. 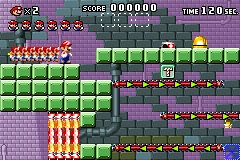 This page was last edited on September 3, 2018, at 11:56.